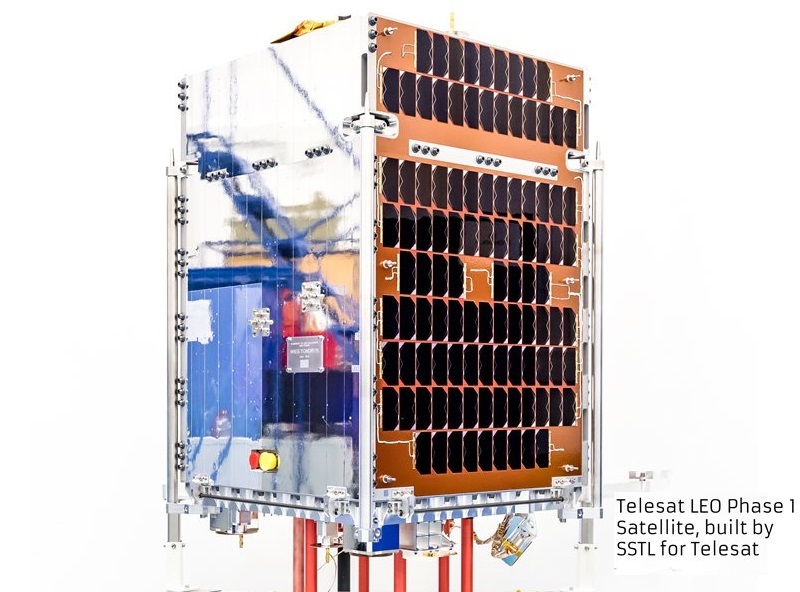 LEO Vantage 1 is a prototype communications satellite operated by TeleSat Canada to demonstrate high-throughput communications in Ka-Band from Low Earth Orbit as a proof-of-concept for an advanced, global LEO satellite constellation currently in development by the Canadian Company. The satellite was built in a cooperation between Surrey Satellite Technology Ltd. as one of two prototype satellites for Telesat to a) demonstrate the feasibility of its constellation concept and b) test out different satellite designs to inform decisions for the procurement of operational constellation satellites. 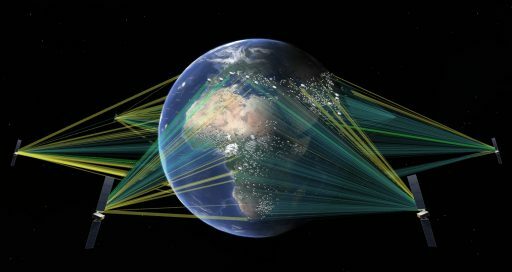 A number of telecommunications providers are actively pursuing large Low Earth Orbit constellation concepts for high-throughput communication services including Internet access. 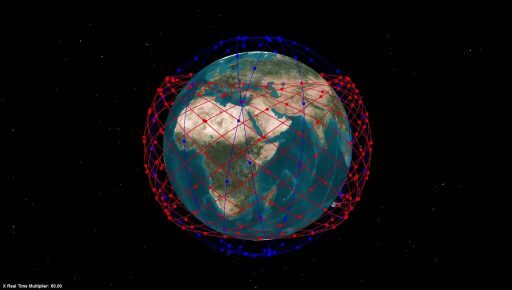 High-throughput satellites operating from Geostationary Orbit have become a common element of solutions offered by telecommunications provides, but the need for faster and faster broadband services drove numerous operators toward developing large constellations in Low Earth Orbit to cut latencies to a minimum. Latency in communications is primarily driven by two factors – the intrinsic latency of the communications system and the two-way signal travel time between the users on the ground, the satellite in orbit and the ground gateway station. For systems based in Geostationary Orbit, the typical delay driven by the distance the signals have to traverse is on the order of 240 to 280 milliseconds. System related delays by routers and switches easily create a total two-way delay of 0.5 to 0.7 seconds. O3b, operator of a broadband network in Medium Earth Orbit at an altitude of 8,062 Kilometers, cited signal delays in GEO as a prime motivation behind deploying to MEO in a compromise between latency and satellite footprint size as the viewable footprint shrinks with decreasing altitude. The company claims it achieved a round trip latency better than 150 milliseconds. Deploying a constellation to Low Earth Orbit at 500-1,500 Kilometers will shorten single-hop latencies to around 4 to 10 milliseconds; however, due to the small size of footprints from these altitudes, constellations will have to consist of many satellites in several orbital planes to achieve full global coverage. Telesat ordered a pair of prototype Ka-Band HTS (High-Throughput Satellites) in April 2016, one to be built by SS/L and the UTIAS Space Flight Laboratory; the other by Surrey Satellite Technology Limited (SSTL). Both LEO Vantage Satellites are expected to launch in late 2017 – placing Telesat ahead of competitors OneWeb and SpaceX that will launch their first experimental LEO communications satellites in 2018. The two LEO Vantage satellites will be used to prove the overall feasibility of HTS provision from LEO (evaluating items like antenna tracking, Doppler compensation & performance at different elevation angles) and specifically evaluate the two different design concepts for future use on the operational constellations. Telesat is well positioned for the deployment of its constellation, holding the rights for around 4 GHz of bandwidth in the Ka-Band spectrum from the International Telecommunications Union which regulates the use of the radio spectrum. This would enable the company to offer multiple terabits of total throughput once the constellation is established. 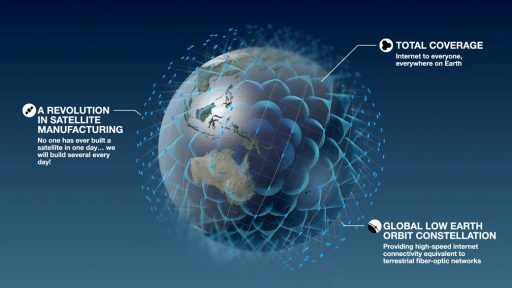 Telesat said earlier this year the operational constellation would consist of around 120 satellites in two different orbital regimes – polar (99.5° inclination) and inclined (37.4°) for full global coverage with individual links capable of Gigabit-per-second data rates. 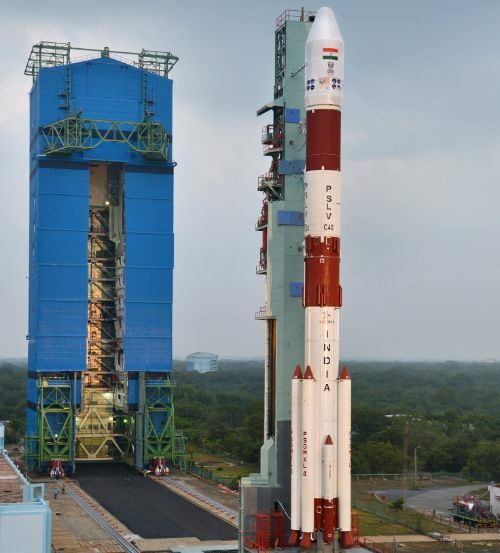 72 satellites are expected to operate in the polar constellation segment at an altitude of 1,000 Kilometers and 45 spacecraft would be placed in five planes in the inclined orbit segment. The company’s spectrum allocation would allow the constellation to be expanded to 162 satellites without requesting additional bandwidth. Latencies expected for the constellation will be around 30 to 50 milliseconds for full round trips, exceeding GEO satellites by a factor of more than ten and bringing the satellite internet experience closer to what fiber users have become accustomed to. Telesat’s constellation will employ optical inter-satellite links and an advanced ground network with the ability to dynamically allocate capacity where it is needed on a global basis. The combination of polar and inclined orbits provides an optimized coverage solution catered to Earth’s population profile. Advanced beamforming features for the space-to-ground links will assist in the allocation of capacity where it is needed. Telesat claims the operational LEO constellation can deliver more bandwidth to a given customer than GEO HTS satellite constellations currently in development. Telesat plans to select a single team in 2018 for the construction of operational constellation craft and begin launching Phase 2 satellites in 2020 to be in a position to commence commercial service in 2021. The first LEO Vantage Prototype launched in November 2017, but failed to reach orbit when its Soyuz/Fregat launch vehicle succumbed to a guidance-related failure and re-entered the atmosphere after completing less than one orbit around Earth. The LEO Vantage 1 satellite is based on the SSTL-42 (SSTL-X50) small satellite bus of Surrey Satellite Technology. The SSTL-X50 satellite platform builds on three decades of experience at SSTL to realize a low-cost satellite bus for a wide range of missions, satisfying the lifetime requirements for Earth Observation and LEO Communications operators. 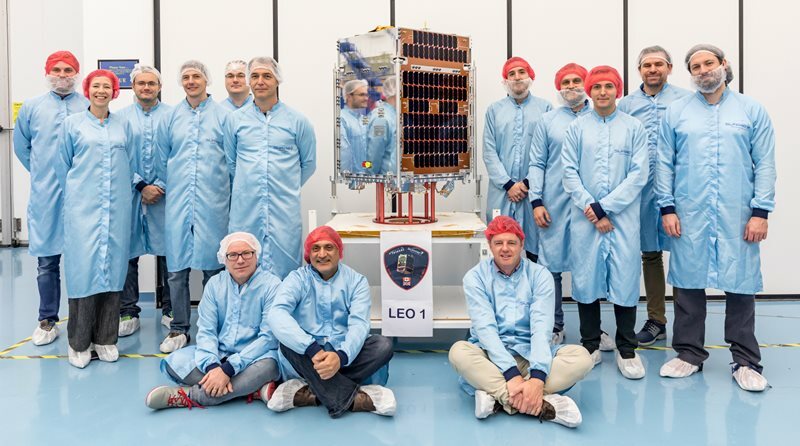 The baseline evelope for the SSTL-X50 platform is 65 x 65 x 72 centimeters and satellites using the platform weigh around 100 Kilograms at launch.